. Published on November 17, 2018 . 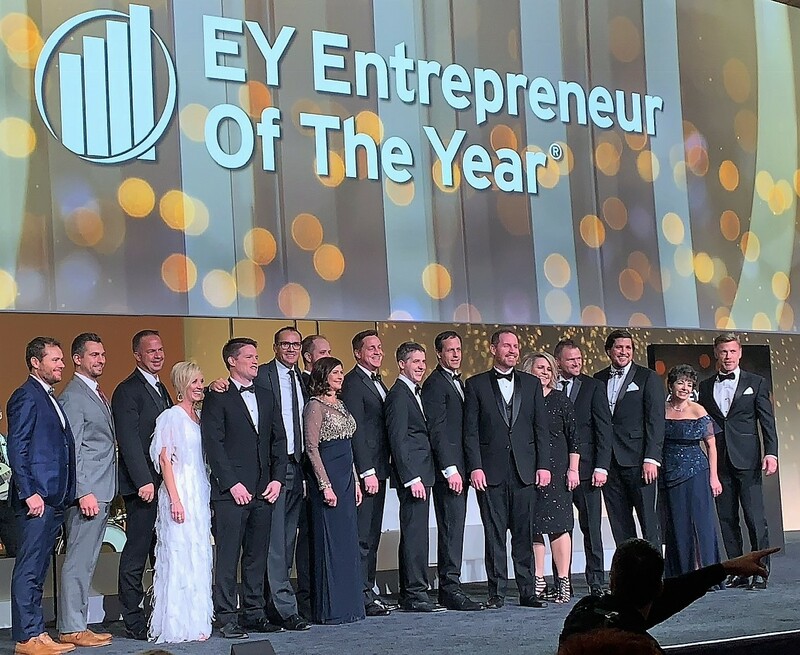 Cariloha and Cariloha CEO, Jeff Pedersen, were recognized and honored last weekend at the National Ernst & Young Entrepreneur Of The Year® Awards in Palm Springs, CA – hosted by Late Night Host, Seth Meyers. 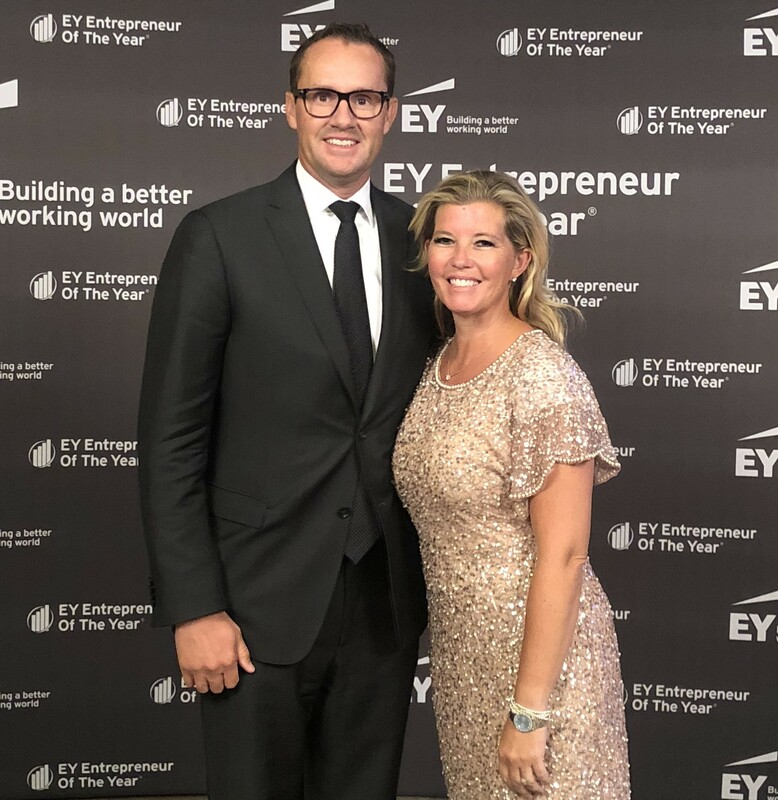 Cariloha CEO, Jeff Pedersen, with wife, Heather Pedersen, at the National Ernst & Young Entrepreneur Of The Year Awards in Palm Springs, CA. Taken as a whole, only 231 award winners were selected from a pool of more than 1,439 nominees. The winners came from 187 entrepreneurial companies – all of which accomplished remarkable things in 2018 – they collectively employed more than 213,000 people and achieved job growth of 46%, up 20% from the 2017 class. They generated revenue of more than $66 billion, with revenue growth surpassing 56%. 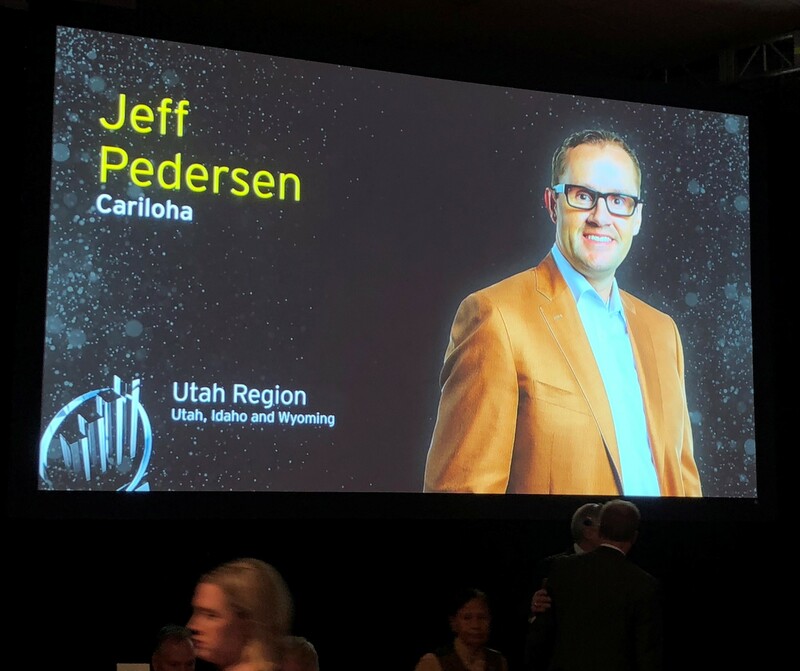 Cariloha CEO, Jeff Pedersen, with other National Entrepreneur Of The Year Award finalists. Of this year’s winning companies, 85% are privately owned, and 26% are emerging companies, in existence for five years or fewer. Being recognized at the National Entrepreneur Of The Year 2018 Awards is an incredible achievement for our company. 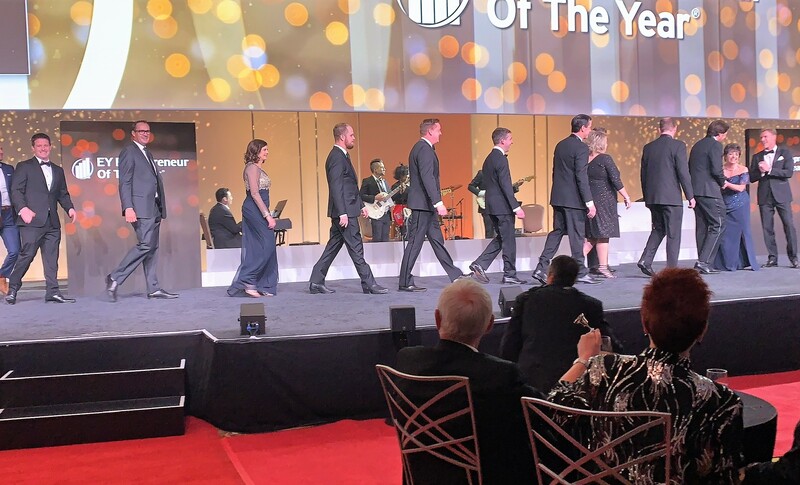 As you may remember, Jeff Pedersen won the Entrepreneur of the Year award for Del Sol approximately 10 years ago, and now he’s won it a second time – one of the few in the nation to have won it twice for two separate companies. It’s a testament to how truly amazing our companies are. Congratulations to our Owner and CEO, Jeff Pedersen, and to each of you for making our companies great! They’re a varied group, but they’re bound by a common thread: they dare to do things differently. They’ve built some of the world’s most enduring companies — surpassing U.S. market performance in revenue growth, job creation and longevity — while developing innovative solutions to the most vexing challenges that society faces today. They are not afraid to depart from old ways of doing business. 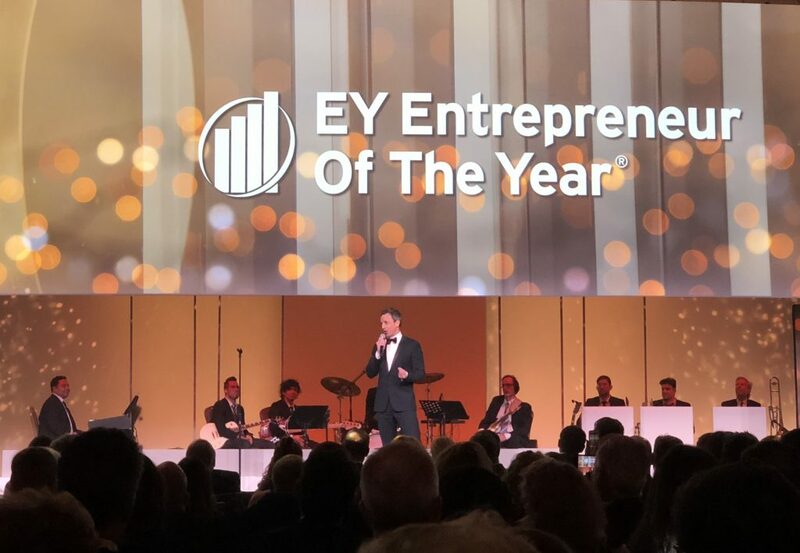 Since 1986, EY has celebrated the accomplishments of nearly 10,000 entrepreneurs across the U.S. as they change the world in unexpected ways. As the world’s most prestigious business awards program for entrepreneurs, Entrepreneur Of The Year recognizes business leaders who are excelling in areas such as innovation, financial performance and personal commitment to their businesses and communities. Cariloha was selected by a panel of independent judges.